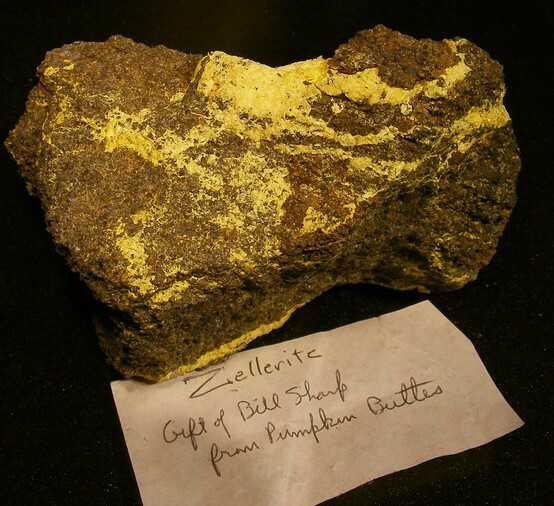 Zellerite: Mineral information, data and localities. 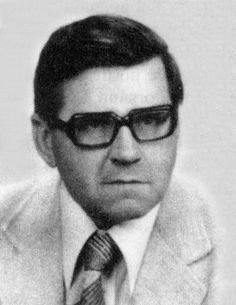 Named after Howard Davis Zeller (24 December 1922, Warren, Ohio, USA - 14 April 2009, Denver, Colorado, USA), geologist with the United States Geological Survey who discovered the mineral. This page provides mineralogical data about Zellerite. National Museum of Natural History, Washington, D.C., USA, 112827. Voglite 8 photos of Zellerite associated with Voglite on mindat.org. Liebigite 1 photo of Zellerite associated with Liebigite on mindat.org. Gypsum 1 photo of Zellerite associated with Gypsum on mindat.org. Schröckingerite 1 photo of Zellerite associated with Schröckingerite on mindat.org. 5.EC.10 Metazellerite Ca(UO2)(CO3)2 · 3H2O Orth. 15.3.1.2 Metazellerite Ca(UO2)(CO3)2 · 3H2O Orth. New Mexico Bureau of Mines and Mineral Resources, Memoir (1963): 15: 21. Coleman, R.G., D.R. 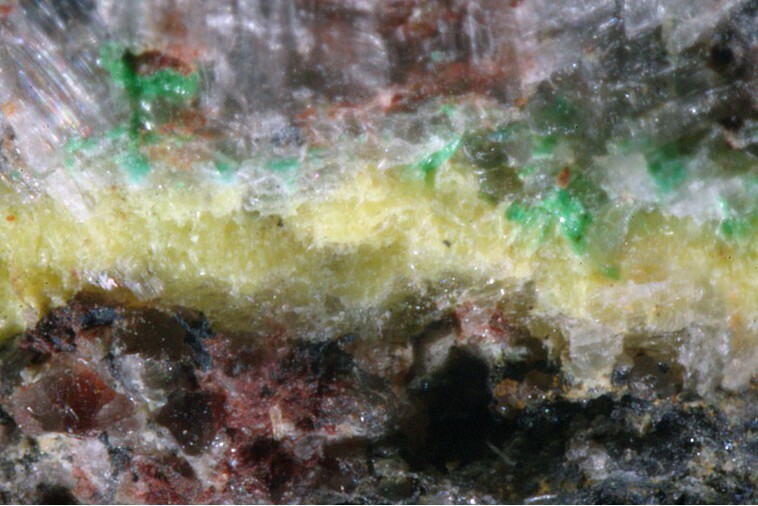 Ross, Meyrowitz, R. (1966) Zellerite and metazellerite, new uranyl carbonates. American Mineralogist: 51: 1567–1578. Fleischer, M. (1964) New mineral names. American Mineralogist: 49: 439-448. Frost, R.L., Dickfos, M.J., Cejka, J. 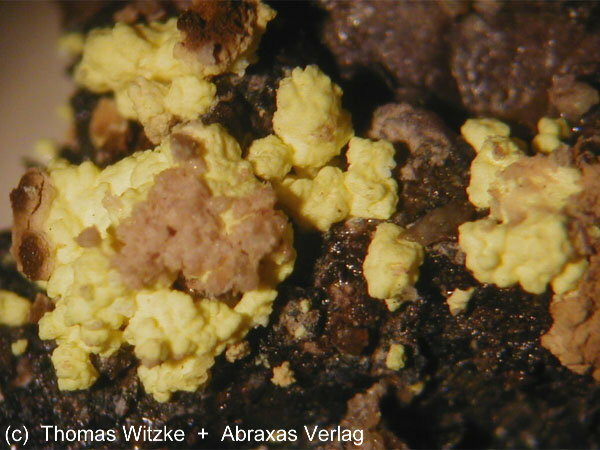 (2008) Raman spectroscopic study of the uranyl carbonate mineral zellerite. Journal of Raman Spectroscopy: 39: 582-586. Collected by Pavel Martynov & Tim Pashko in may 2012. EDS by Anatoly Kasatkin, XRD by Jakub Plasil.